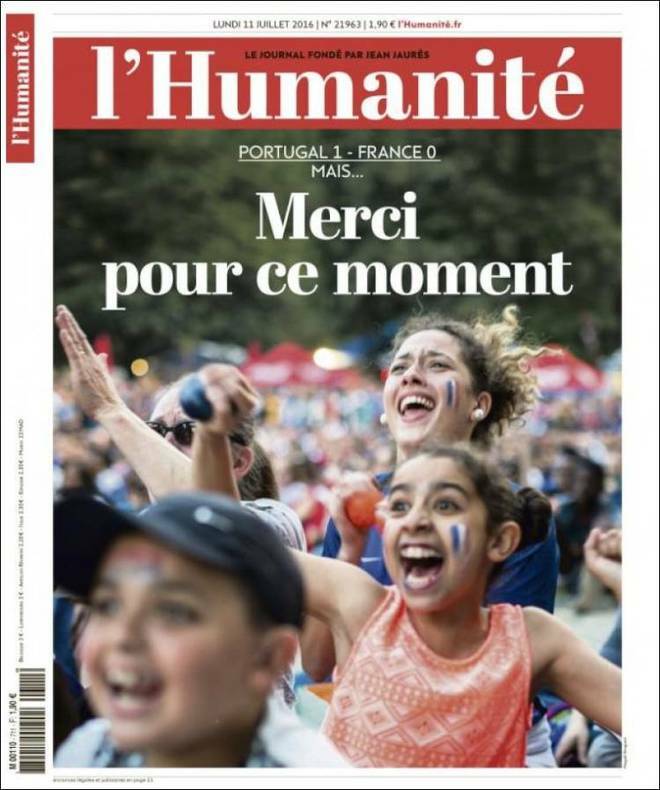 April 25th is Portugal’s “Freedom Day,” commemorating the 1975 Carnation Revolution that swept the authoritarian dictatorship Estado Novo out of power. 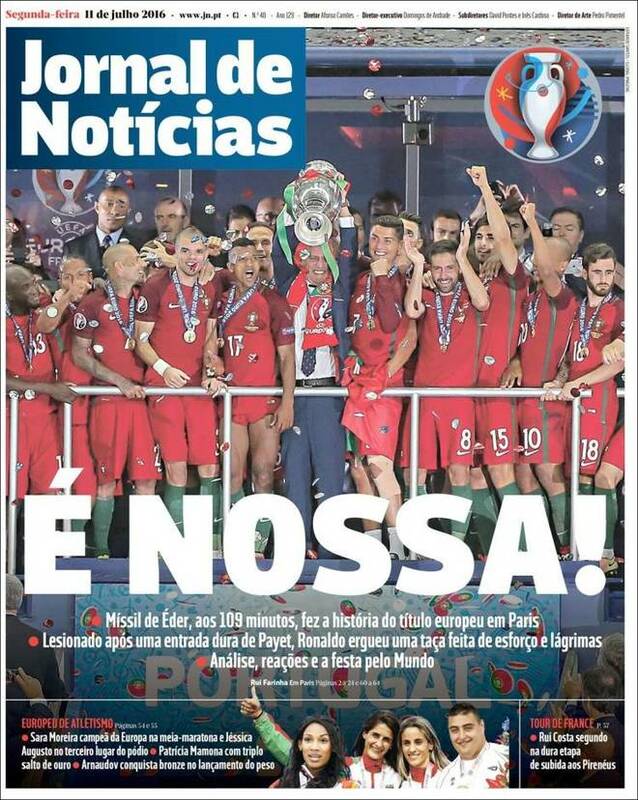 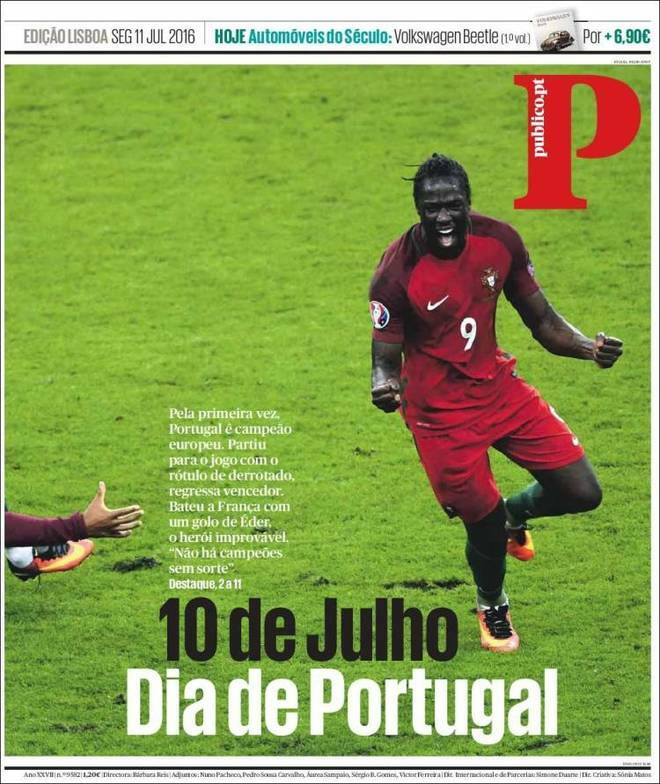 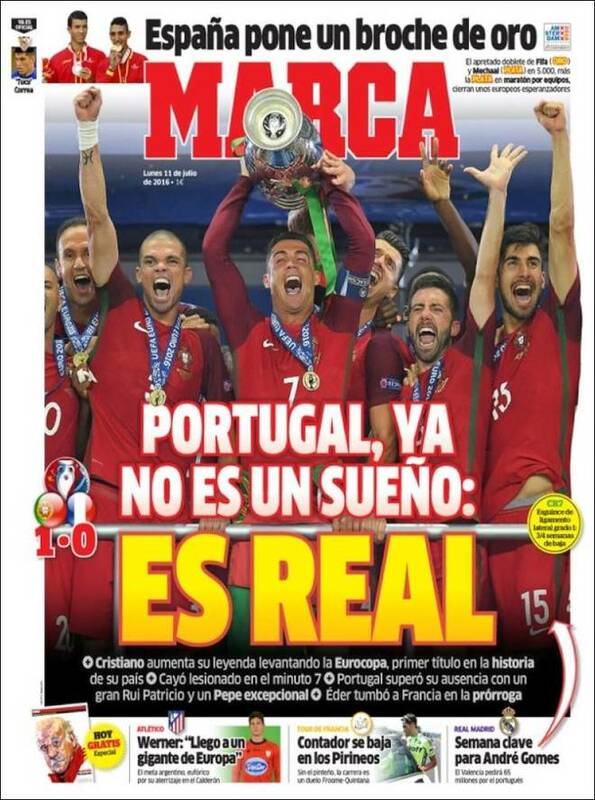 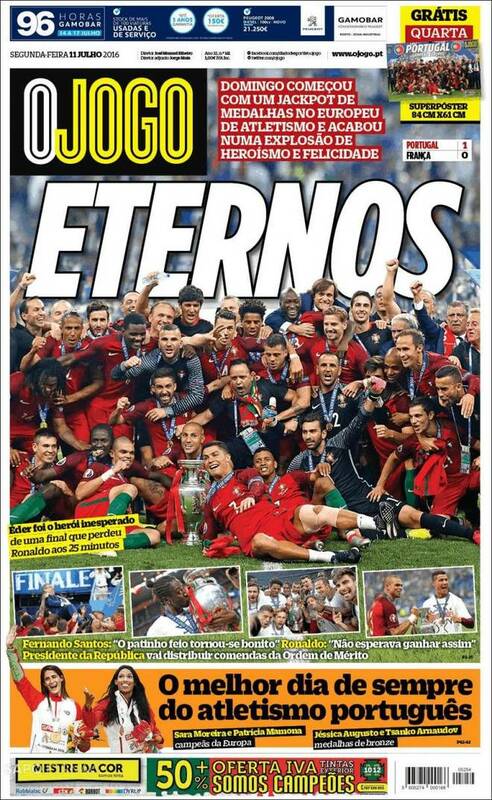 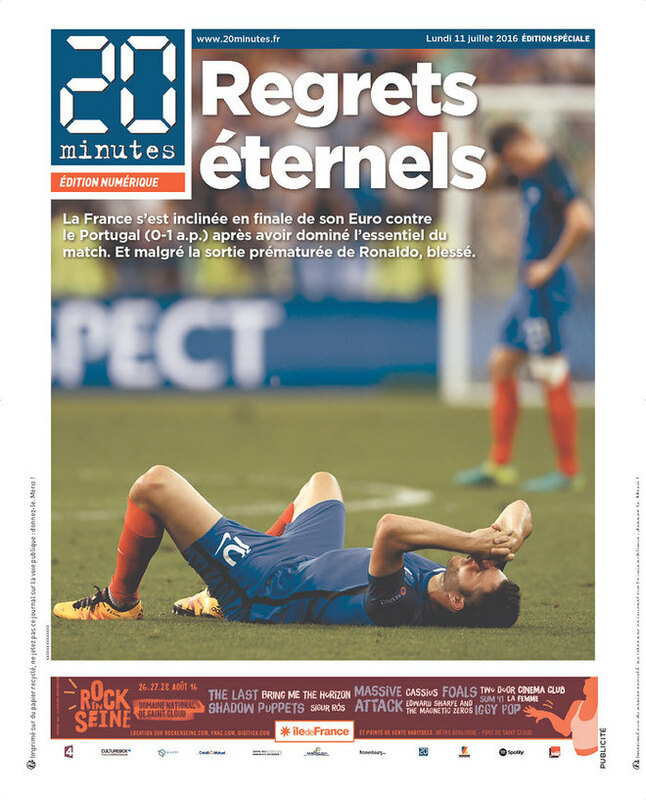 Público proclaims a new day for Portugal to canonize, the 10th of July, with this powerful back page. 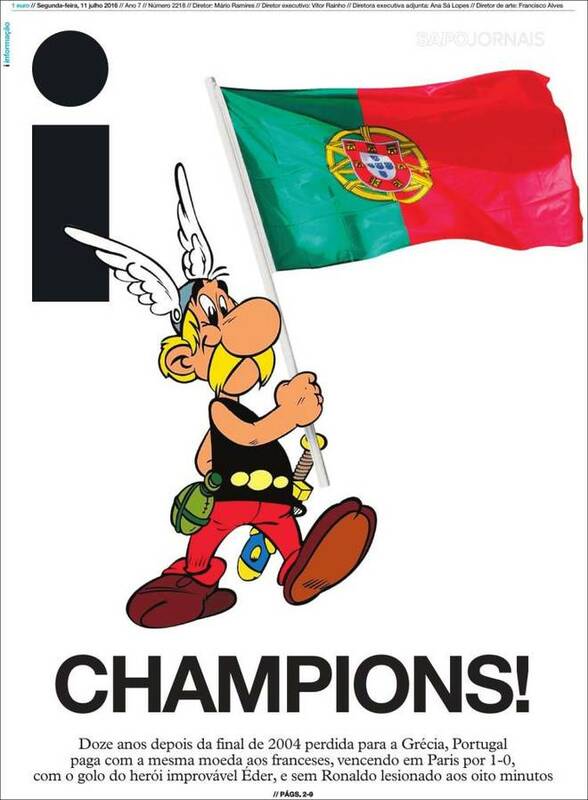 Portugal’s Informação one-ups Spain’s Marca back page from Friday that hailed “Griezmannix el Galo” as it show’s France’s cartoon hero Asterix forced to hoist the Portuguese flag. 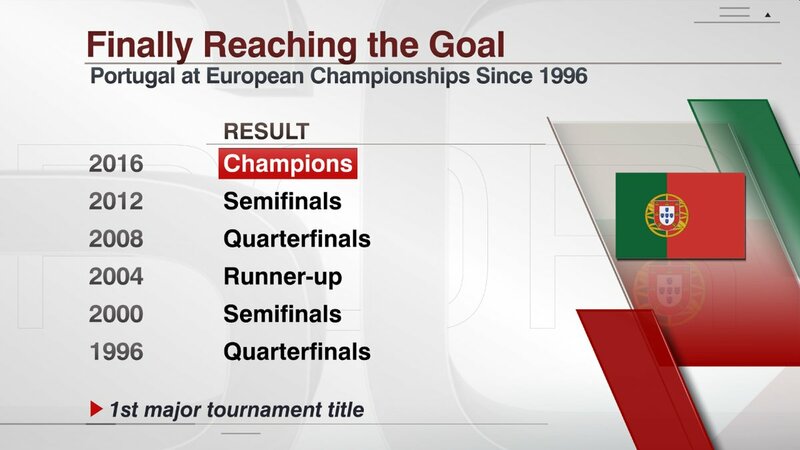 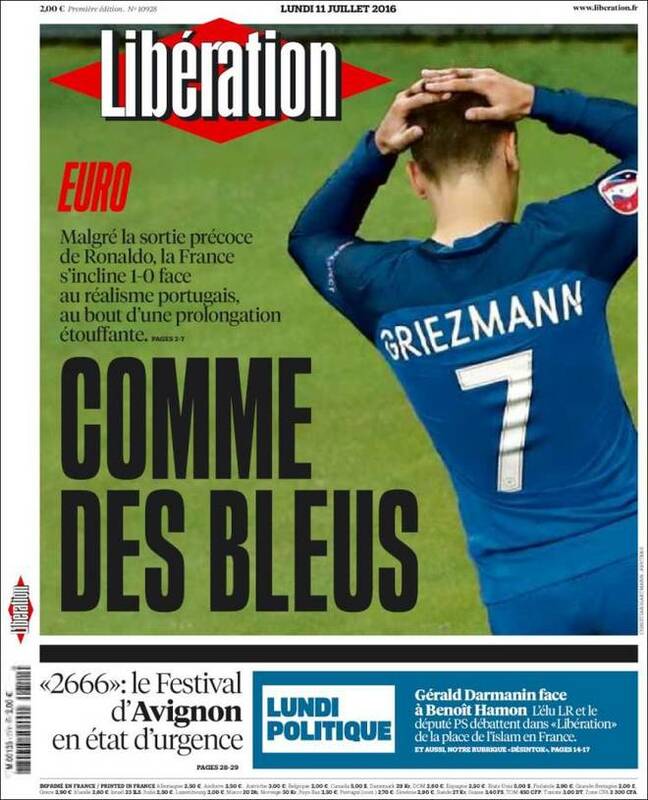 France couldn’t overcome Portugal’s stout defense and its own bad luck. 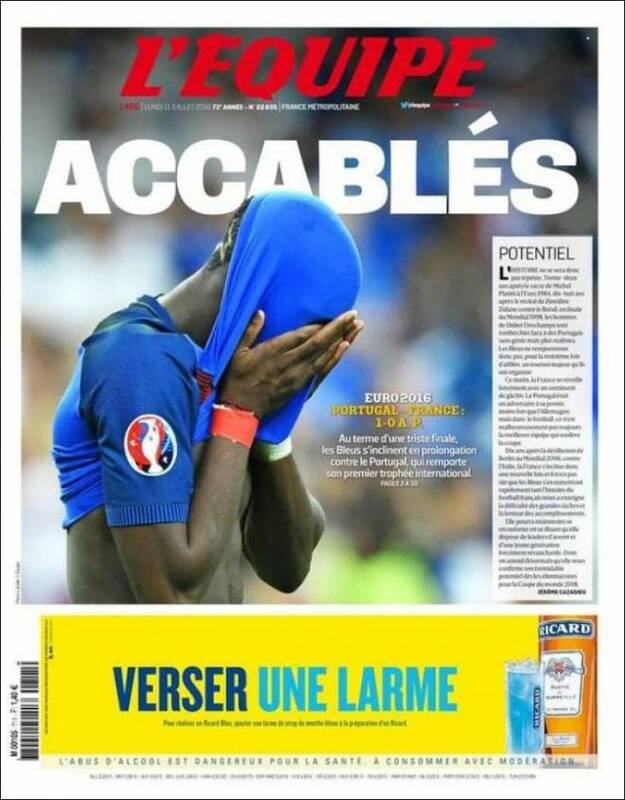 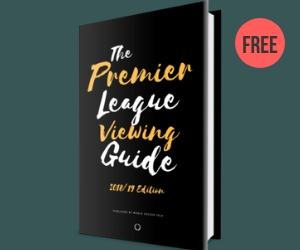 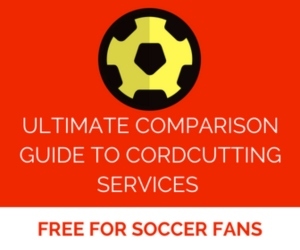 Add it all up, and it feels “overwhelming” as L’Equipe explains. 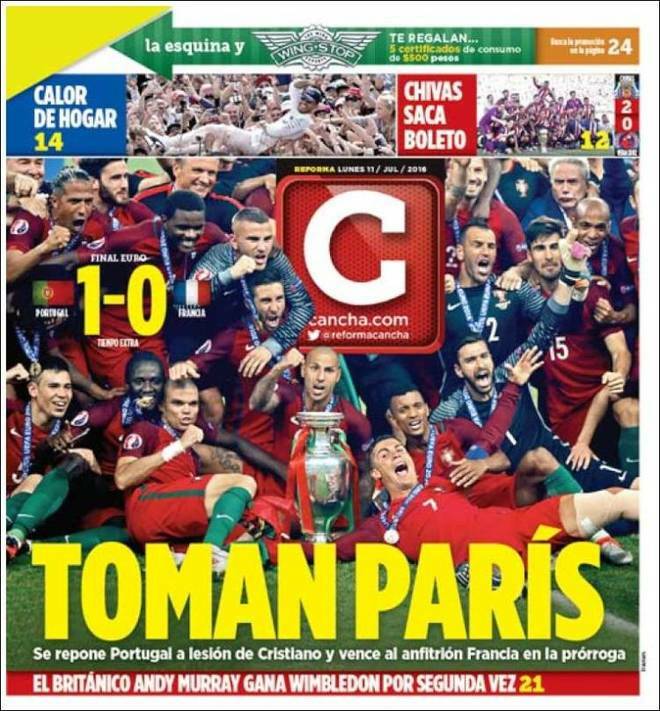 Mexico’s Cancha boisterously hails the team that “Took Paris.” Couldn’t Cancha have been cleverer still by referencing Casablanca’s famous line “We’ll always have Paris”? 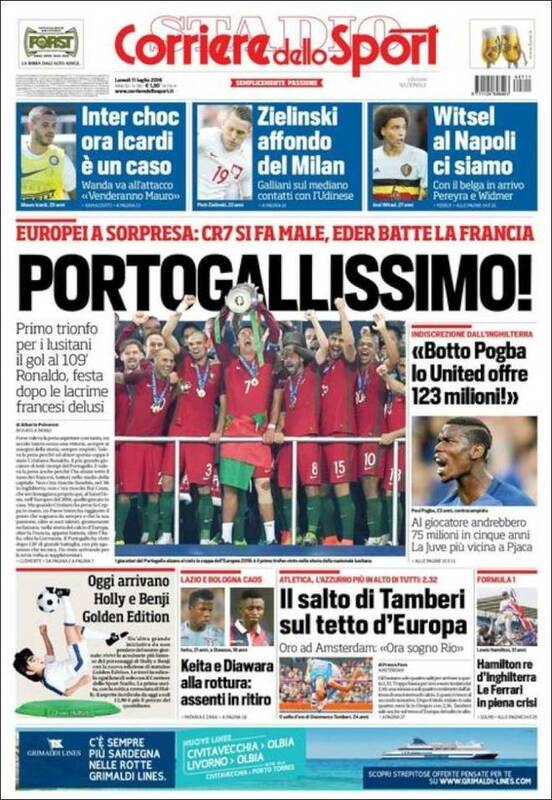 No translation needed as Italy’s Corriere dello Sport hails Euro 16’s surprise winners.